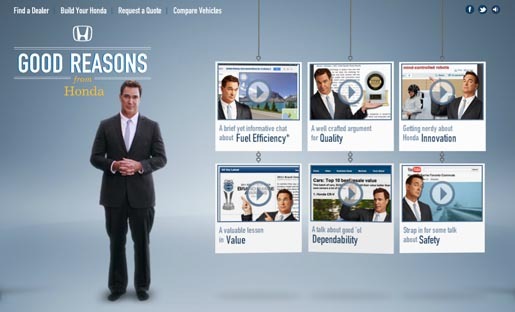 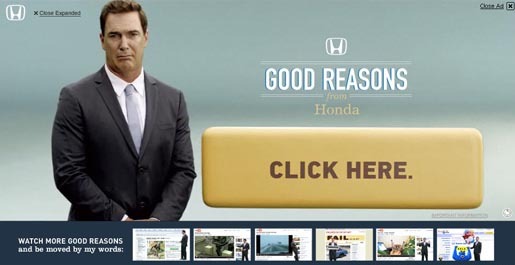 Honda is running a “YouTube takeover” in the USA featuring actor Patrick Warburton (Rules of Engagement) who takes his role as the face of Honda incredibly seriously (“because I’m a spokesman…and that’s what I do”). 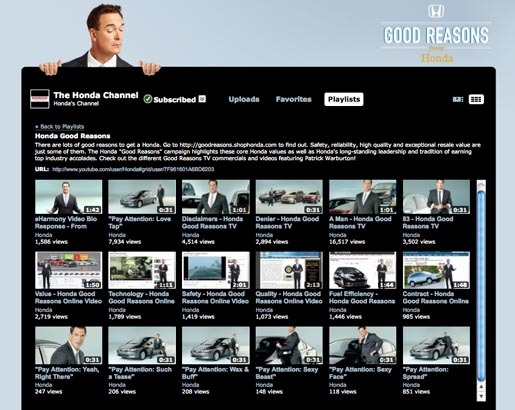 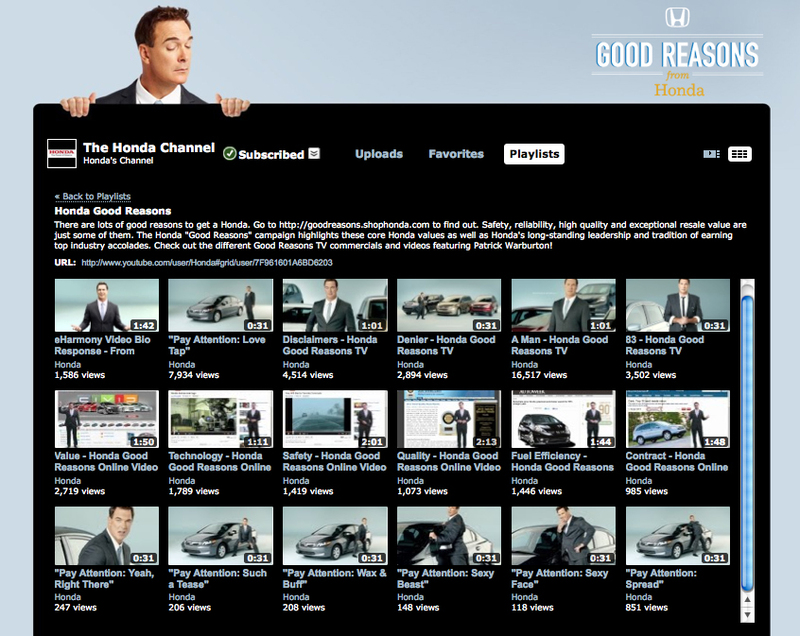 Patrick’s invitation to check out the “Good Reasons from Honda” microsite and Youtube Playlist includes a spoof of the viral hit by eHarmony Girl Debbie. 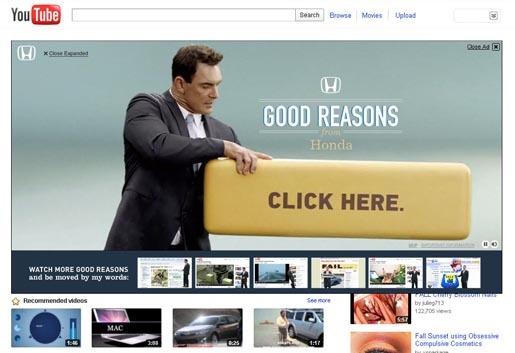 The Honda Youtube Takeover was developed at RPA by executive creative director Joe Baratelli, general creative director Jason Sperling, senior art director Hobart Birmingham, art director Brian Farkas, copywriters Perrin Anderson and Tylynne McCauley, executive producer Gary Paticoff, senior producer Isadora Chesler, assistant producer Faye Armstrong, program director Dave Brezinski, program manager Samira Poulos, technology manager Bradley Stone, flash producter Chris Gomez. 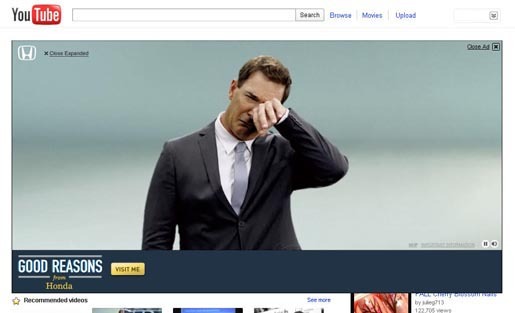 Filming was shot by director Evan Silver via Tool of North America with director of photography Julian Whatley, executive producer Dustin Callif, director of digital production Joy Kuraitis, interactive design director Jeff Levine, digital producer Avery Prommer.